Freshly updated true ranch. Large living room opens to dining area, all with gleaming hardwood floors. Totally new kitchen with beautiful granite countertop and subway tile backsplash with glass tile accents. All new stainless appliances, including refrigerator, electric range, microwave and dishwasher. Completely refurbished bath with gorgeous new tile and flooring. 3 bedrooms, also with hardwood floors and ceiling fans.. One-car garage and large unfinished basement with new washer and dryer included. 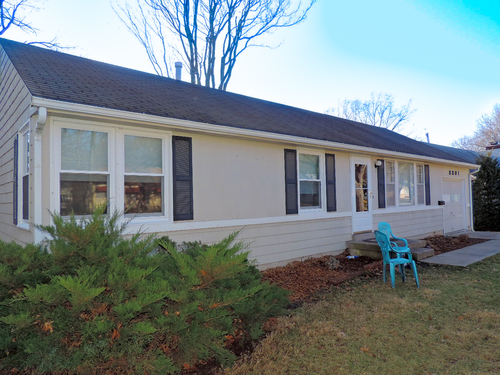 This home is located on a nice lot with fenced back yard, near Downtown Overland Park. Sorry, no pets please.